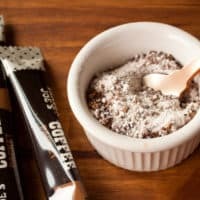 Homemade Instant Coffee Mix | Good. Food. Stories. For someone who goes to the grocery store as often as I do, this is an embarrassing admission. But on a shockingly regular basis, I run out of not just coffee but milk for my coffee. Sometimes it’s coffee, sometimes it’s milk. Sometimes it’s both. It’s like a mental block that only becomes painfully clear at the bleary-eyed crack of dawn. And they would have been my salvation, but each tiny package called for only 4-6 fluid ounces of water—that’s 1/2 cup to 3/4 cup, for those of you who aren’t fluent in fluid ounce to cup conversions like I am. And that is simply not enough coffee for this girl. I’m a self-employed small business-owning boss lady hustler, for pete’s sake! Don’t you know we’re all fueled by coffee and angst? Clearly some DIY deconstruction had to be done. Otherwise I’d burn through the instant packets too quickly and be in a worse situation than ever: no coffee, no milk and no faux milk either. The simplest solution would be to grab a jar of instant coffee and a canister of powdered non-dairy creamer, which would be fine for the majority of the population. But not for me. Homemade instant coffee mix was the only way to go here. This is where it comes in handy to read labels: the last ingredient on the Trader Joe’s packet is “mocha flavor,” and it’s a brilliant addition on Trader Joe’s part: it cuts the instant coffee’s bitterness and adds a fuller, rounder, roastier flavor to an otherwise subpar cup. Adding a little cocoa to the blend does the trick at home. 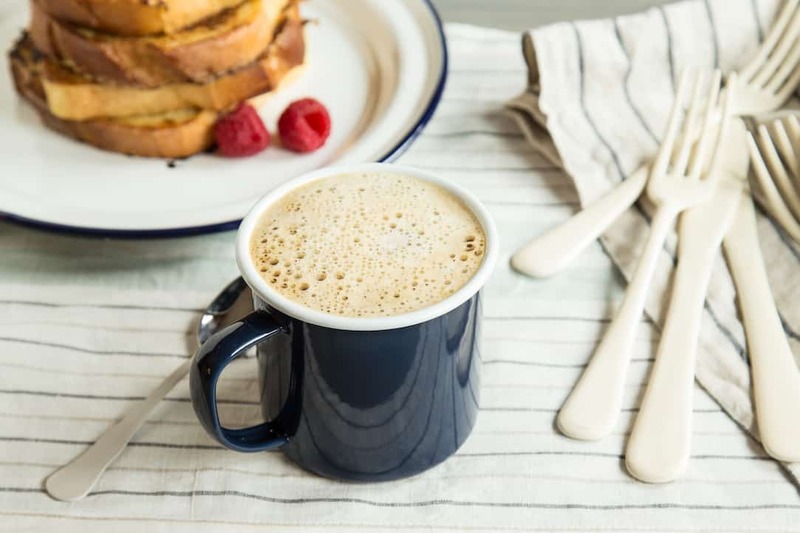 No matter how you like to store and serve your emergency coffee—just creamer for those mornings when you’ve still got beans to grind in the house, a pre-made mix for super-desperate days, or single servings to take on road trips to motels, campgrounds, beach houses, or other places where neither fresh coffee nor milk can be found—I’ve got a solution for you. Here’s to happier mornings with homemade instant coffee mix. 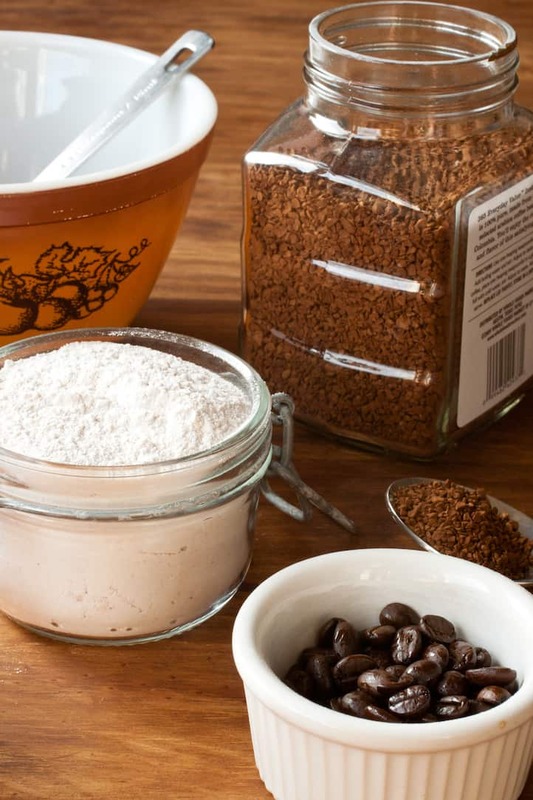 Don't spend your life savings on pre-measured packets of instant coffee and powdered creamer: make a batch of homemade instant coffee mix for the pantry. Press the milk powder, 3 tablespoons confectioner's sugar, and cocoa powder through a fine-mesh strainer into a medium bowl to remove any hard lumps. Add the coconut oil to the powder and whisk until any clumps disappear. If you don't want to store your creamer separately but want to make an integrated coffee mix, continue on with the instructions. 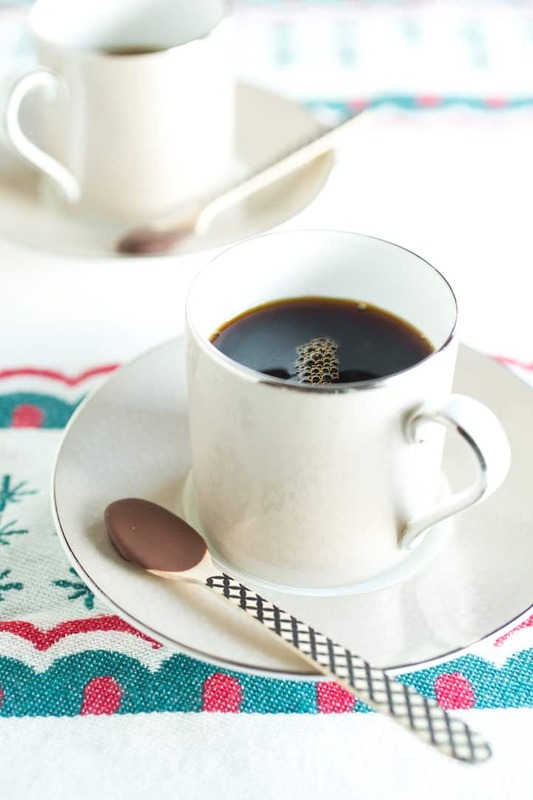 Stir the creamer blend with the instant coffee and 5 tablespoons confectioner's sugar. 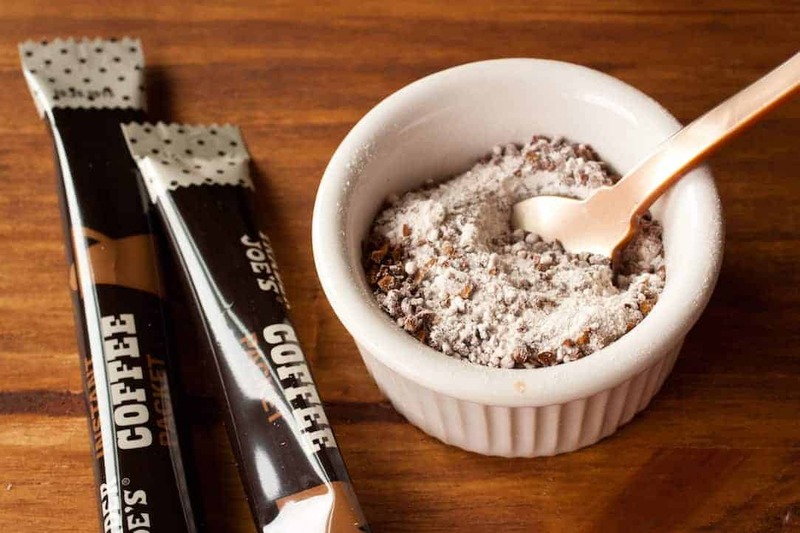 For each 12-ounce cup of coffee, scoop a scant 3 tablespoons instant coffee mix into your mug. Stir in 1 1/4 cups (12 ounces) boiling water to fully dissolve the dry ingredients.